Stop wasting resources trying to reach outdated contacts. Up-to-date data is the key to supporting your customer relationships. It increases email opens and generates a better response from direct mail and phone calls. It lets you focus on building relationships that will increase revenue and result in exceeding your goals. 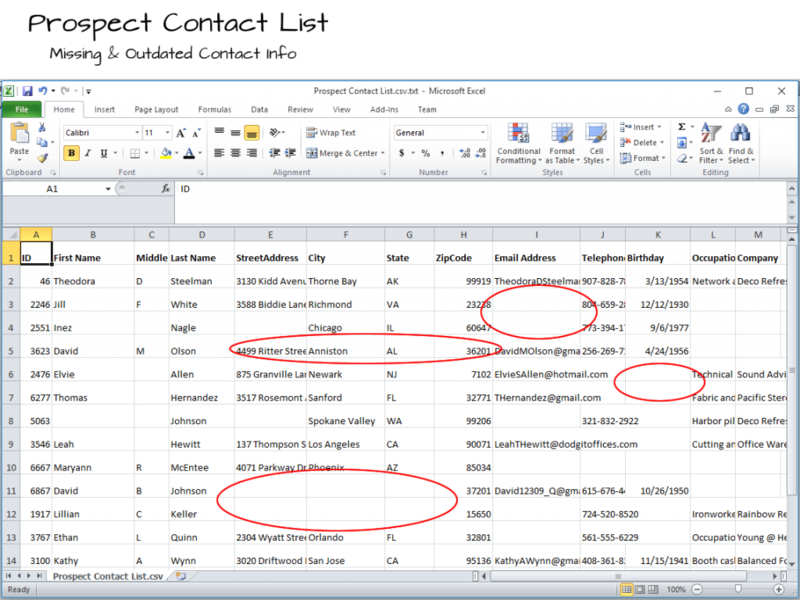 Append missing contact information like email addresses, phone numbers, and mailing addresses. Enhance your database with demographic, and geographic data for better profiling and targeting. See a list of the data we have available here. Increase response rates for email campaigns, telemarketing, and direct mail campaigns.